What Are Some Of The Most Common Bankruptcy Myths? What Are Some Of The Most Common Bankruptcy Myths? Many people mistakenly believe that if they file for bankruptcy, they will lose all of their possessions and assets, including their home, car, and savings. Fortunately, this is far from the truth. You can still file for bankruptcy and keep the property that is critical for your daily living — here’s how. What does “exempt” mean? 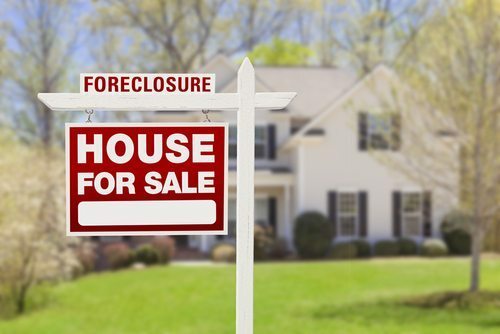 Florida allows for certain property and assets to be kept by the individual declaring bankruptcy, particularly any assets that are considered necessary for day-to-day living. If assets are eligible for exemption and are listed properly on your bankruptcy forms as “exempt,” the court cannot liquidate those assets. What Types of Property Can Be Listed as Exempt? Homestead Exemption — The state of Florida has a generous homestead exemption for individuals declaring bankruptcy. You can declare an unlimited amount of value in your home and still be able to keep it, provided your home and land does not exceed half an acre in a municipality or 160 acres in a rural area. Motor Vehicle Exemption — Florida allows residents to claim up to $1,000 in equity for their motor vehicle. If you are married and you and your spouse are filing for bankruptcy, you can claim up to $2,000 of equity. This means that if the value of your vehicle does not exceed $1,000-$2,000, the court cannot take it and liquidate it. Wage Exemption — Some of your wages can be considered exempt from your bankruptcy claim. If you are the “head of household,” you can exempt up to $750 of your wages each week. Any earnings from other family members who are not the “head of household” can also be exempt; however, the amount is generally much less. Personal Property Exemptions — Florida allows for personal property exemptions up to $1,000. This can include heirlooms, furniture, jewelry, or other valuables. Other categories of personal items that can be considered exempt are savings accounts for hurricane damage, prescribed health devices, and prepaid health spending accounts (HSA). Understanding bankruptcy laws in Florida can be difficult, to say the least. By working with an experienced bankruptcy lawyer, you can ensure that you are taking advantage of every exemption law possible. Many people who file for bankruptcy are surprised that they are able to keep so many of their assets — in some cases, all of them! At the Law Firm of D.C. Higginbotham, we understand Florida’s bankruptcy laws and can help you declare bankruptcy in a way that has the least negative impact on your family and prepare you for a fresh financial future. Call today for a consultation at (904) 354-6604.